Bring the fragrance of fresh forest breeze to your home with this stunning collection of round wood coffee tables. 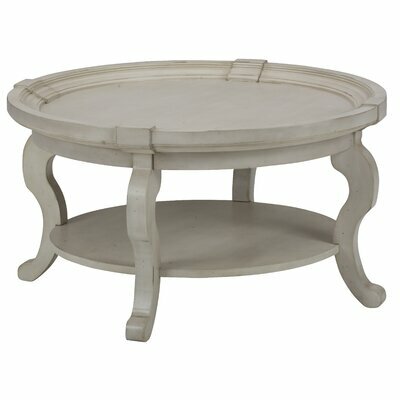 These round coffee tables are ideal for rooms with small spaces or rooms with circular arrangement. 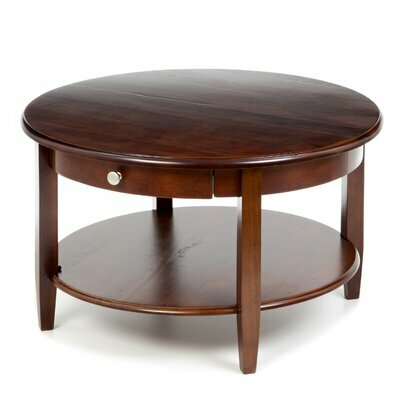 Owing to their central placement, the round coffee tables easily create an attractive focal point in any room. Featuring different styles and designs, this coffee table collection offers you a wide variety to choose the best one that suits your requirements and aesthetic appeal. Simple yet elegant, the Braeswood Coffee Table flaunts a graceful look. It is crafted from sturdy wood and promises reliable services to your family for many years to come. Featuring antique walnut finish, this lovely coffee table is very appealing to eyes. Be it contemporary, modern or traditional, it suits all styles of home decor and blend beautifully with a range of color themes. It comes with a drawer where you can keep your household items like keys or TV remote. An open shelf with smooth surface is perfect for showcasing a flower vase or it can also be utilized as a magazine rack or placing newspapers. Simply elegant, the Braeswood Coffee Table is a great choice for your home. The classic Gallatin Round Coffee Table will uplift the style quotient of your home with its classy and heavily distressed look. Robust and sturdy, this elegant coffee table is crafted from engineered wood and Mindi veneers. It is supported by metal legs that further add to its durability to witness countless seasons with you. The metal straps on top add firmness without compromising on the beauty of this classy piece of furniture. 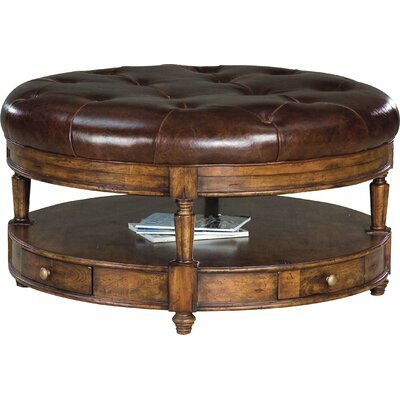 The gorgeous Gallatin Round Coffee Table features round shape with attractive landmark worn oak finish. Showcasing a hard-to-miss rustic and antique look, this coffee table will bring delight and grace to your living room, bedroom or guest room. The pleasing table top allows you to place your snacks, memorabilia or collectibles and enjoy your favorite beverage in a relaxed mood while the bottom fixed shelf holds your newspapers, books or magazines. With its natural finish and rustic look, the Eurig Coffee Table will remind you of the picturesque countryside. 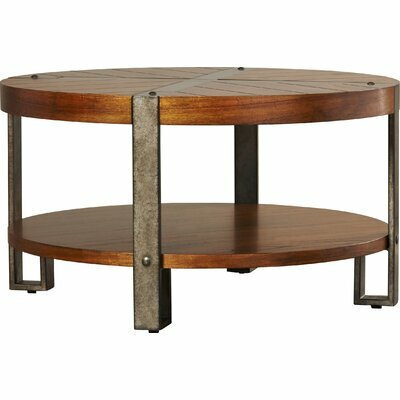 This gorgeous coffee table features round table top in natural finish with scraped stampings on the top for a close to nature look. It is supported by sturdy metal legs with X-shaped stretcher for reliability and additional durability. The square shaped metal legs along with the round top creates a contrasting and striking look. Perfect for all types of room decor, this beautiful Eurig Coffee Table by Trent Austin Design will be a great addition to your home. Reflecting attributes of classic American furniture, the Citrus Park Coffee Table features a unique and chic look. This classy and stylish coffee table is hand crafted from reclaimed old planks. 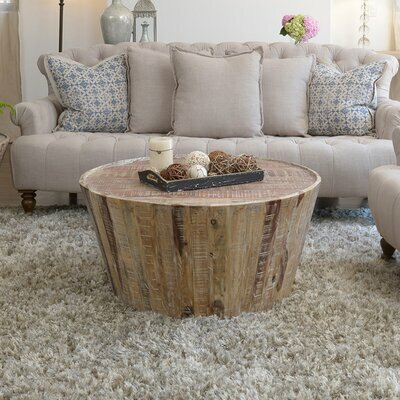 Showcasing distressed look with lime wash finish, this coffee table is sure to accentuate your living room décor. Weight 51 lbs. 85 lbs. Featuring rich creamy finish with dramatic pie-crust molding, the classy Valeriane Coffee Table is designed to complement any style of room décor. The elegantly gorgeous Queen Anne legs add character to its overall look making it de résistance piece of furniture to enjoy your steaming cup of coffee around it. The super gorgeous Eastin Coffee Table with Nested Stools set comes with four matching stools. The drop-in unitized stools add further functionality and saves you a good amount of money for buying stools or chairs separately. This stunning 5 piece coffee table set is manufactured from hardwood solids and birch veneers for maximum strength and durability. Enjoy sipping steaming cup of coffee around this coffee table in your living room, open kitchen or sunroom. Finished in beautiful dark brown finish, the Eastin Coffee Table with Nested Stools is a must have in every home. Entertain your guests by serving them tea or coffee with this gorgeous beauty. 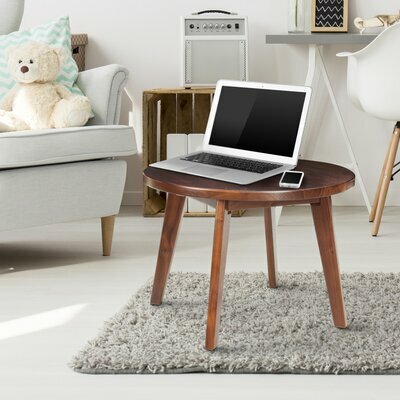 The Casual Home Genuine Coffee Table features round table top and stylish trestle legs. 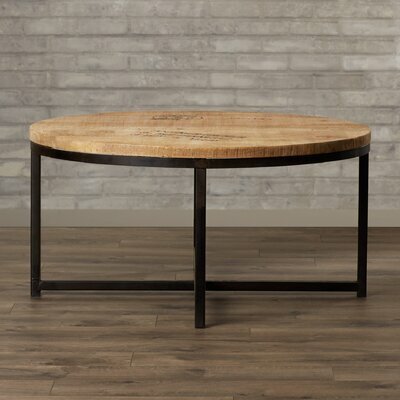 Manufactured from walnut wood in warm espresso finish, this coffee table is robust and durable to endure the wear and tear of time for many years to come. The stylish and chic look of this Ambrosios Coffee Table will add a fashion-forward touch of geometry to your home. 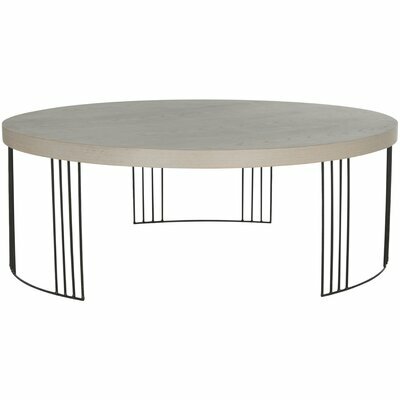 It features well-rounded, wood-grained table top in grey color with circular base made from black iron. It has a unique profile with thin support strips that creates a see-through look. Bring home this coffee table and impress your guests with its chic and stylish look. Accentuate the look of your living room with the stylish and functional Coffee Table with Storage by Fairfield Chair. Built from Santos rosewood and mahogany veneers, this coffee table is not only beautiful but also durable and long lasting. It features cushioned top with dark brown leather that adds mesmerizing charm to its overall look. The base features earthy antique brass finish that radiates warmth creating a relaxing atmosphere. There is a bottom shelf that is compartmentalized into four convenient storage space or as display shelves. Just below the cushioned top 4 pull-out trays offer additional space for placing your coffee mugs or teacups. This multifunctional coffee table can also be used as a comfortable ottoman and can seat up to 2-3 people easily. Stylish, interactive and multifunctional Dempsey collection is sure to become your family’s favorite coffee time spot. 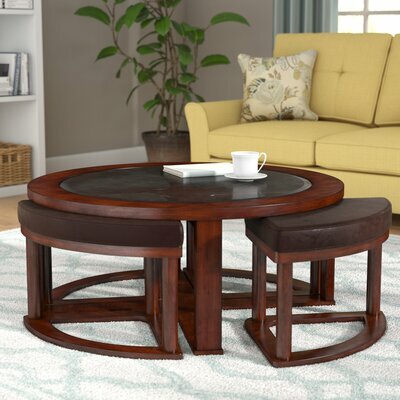 The coffee table features round table top that is crafted from solid wood and manufactured wood and a pedestal style base that is made from chrome colored metal. This stunning coffee table is adjustable and you can easily convert it from coffee table height to dining table level. All you need is to push the button and the hydraulic gas lift will ascend the table top. It comes with four storage ottomans that are upholstered in dark espresso vinyl upholstery. Ottomans are very comfortable to sit on and offer convenient storage space. This versatile and attractive coffee table set is a must have in every home!